I have only probably a small number of PowerShell scripts that I have written that do not need to import some library/module (I refer to them as both libraries and modules in this, as they are libraries of cmdlets). More often than not, I am working with SharePoint or Azure, and need to utilize cmdlets from one of those libraries to do what I need to do. 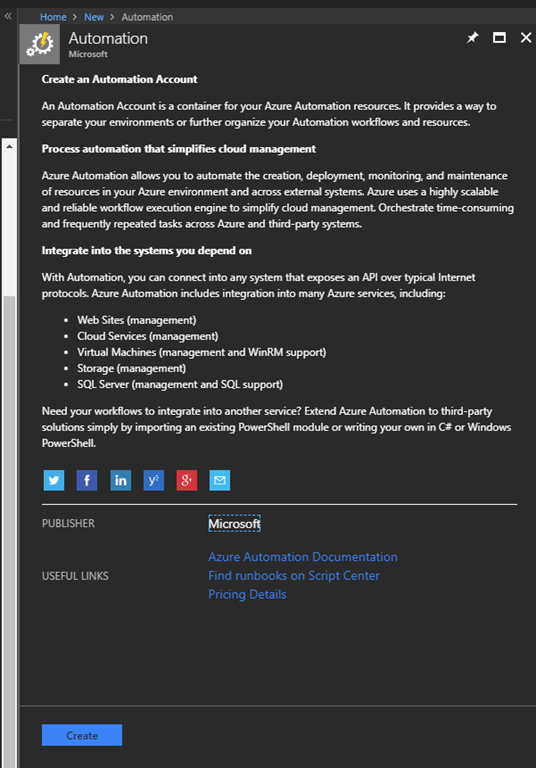 So, what if you need to use PowerShell modules in your Azure Automation runbooks? 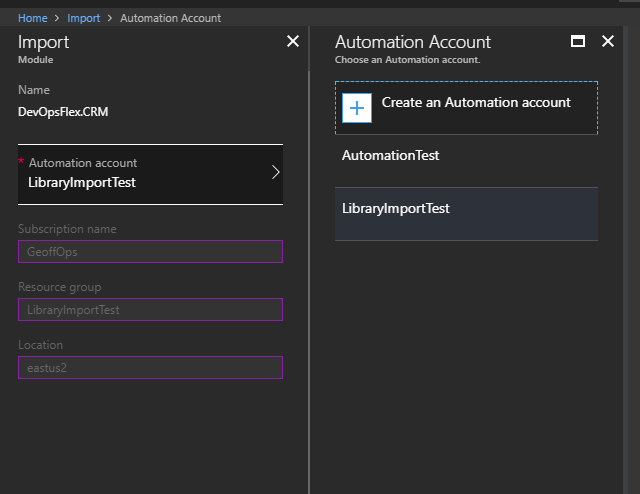 In this post, I am going to show you how to import and use PowerShell libraries in your Azure Automation Accounts. 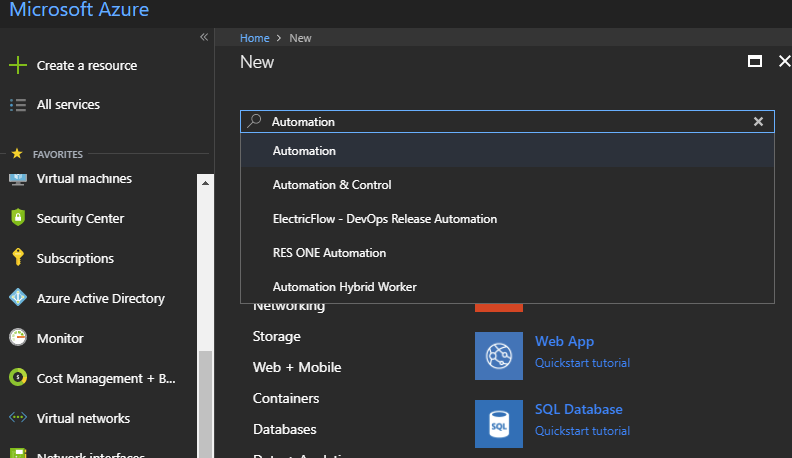 In the Azure Portal click on New, and then search for Automation, and click on it in the drop-down. 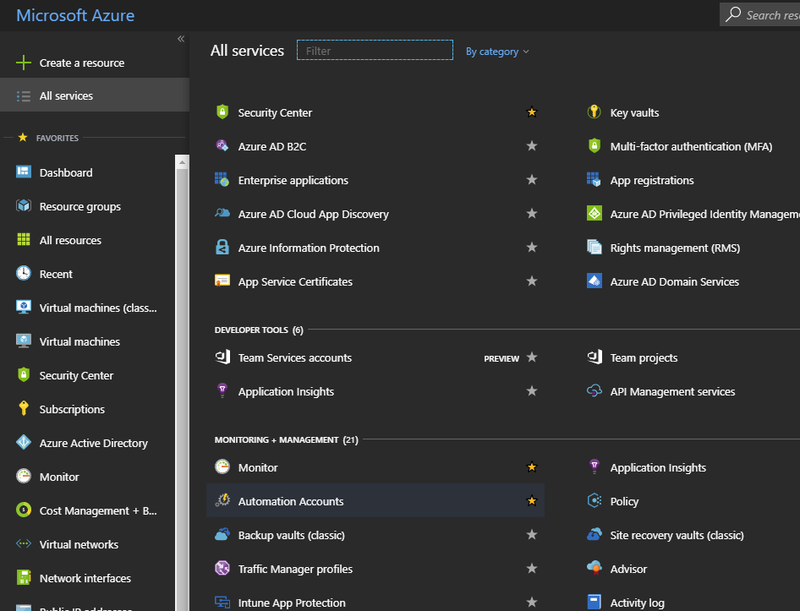 Give it a Name, select the Subscription, give it either a new Resource Group or use an existing… and a Location (what Azure region is this going to run in?) and I do not need a Run As account for this, so I am going to select No… and then, I click on Create at the bottom. 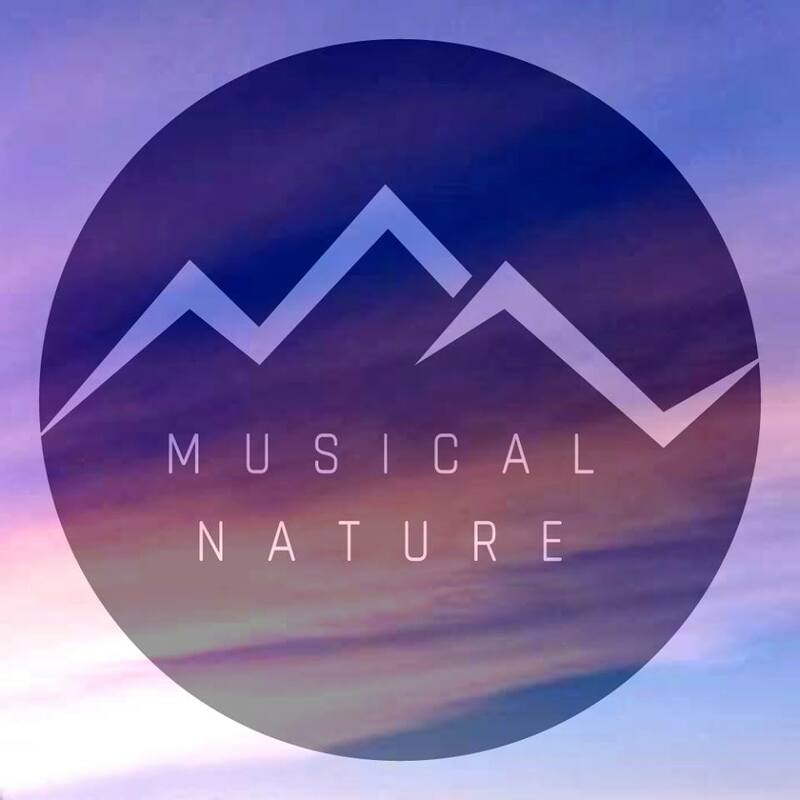 Click on LibraryImportTest, the Automation Account we just created. You’ll see Modules and Modules gallery. Click on Modules. You can also see the version number, so you know what version, say, of the Azure library you are using. You can also Update Azure Modules (if you have a Run As account enabled, which we didn’t do for this test). 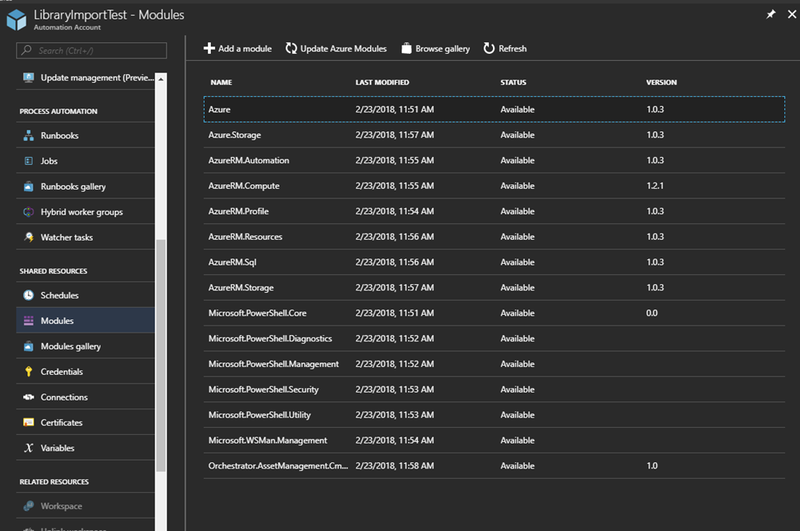 You can also click on a module, such as Azure, and you can see that there are 673 cmdlets, or Activities in this module. By clicking on See more at the bottom of the Activities window, you can see the full list of cmdlets. 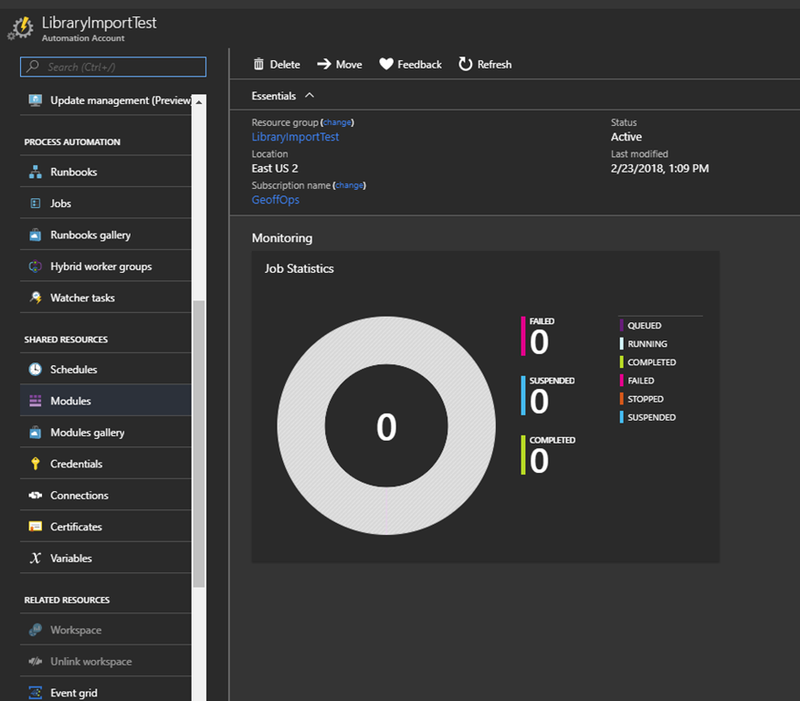 Which makes sense… because we’re using PowerShell in Azure. Now, what if we need something more? Click on Browse Gallery. There are MANY modules available in the gallery, so you may not need to import them yourself. Easy right? 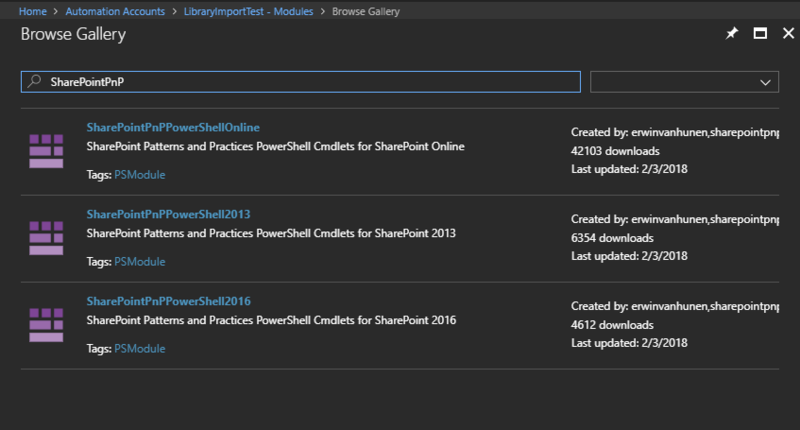 This is the same as the PowerShell Gallery. 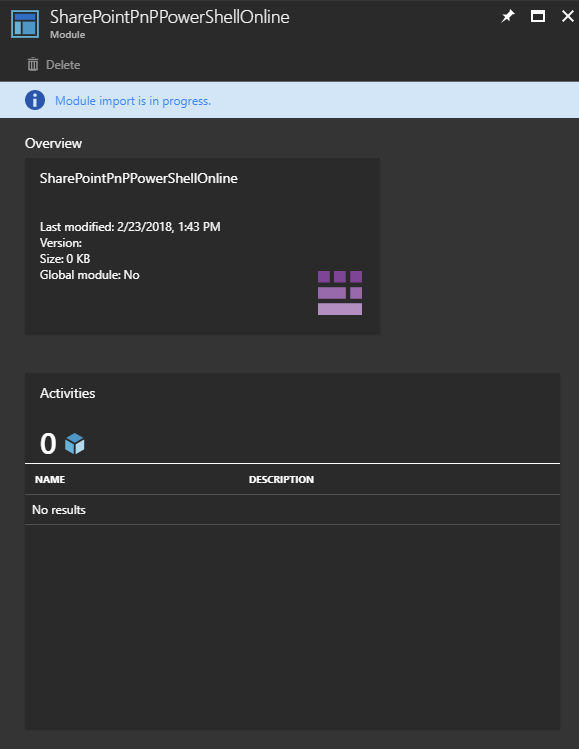 Now… what if the module you have is NOT a part of the PowerShell Gallery? Now lets say, there are come cmdlets I need that are not in the gallery, such as Gary LaPointe’s PowerShell-SPOCmdlets. 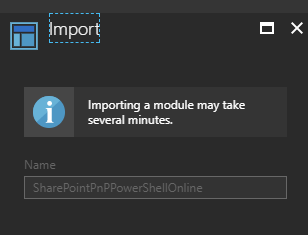 “Do I still need to import my modules in my Azure Automation PowerShell scripts?” No. If you have a module loaded for that specific Automation Account, it will be automatically available, so there is no need to specifically import the module in the script itself. 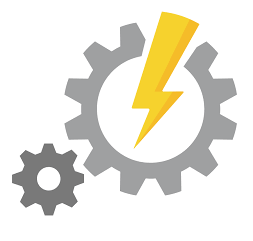 I have been playing around with Azure Automation Runbooks as of late. 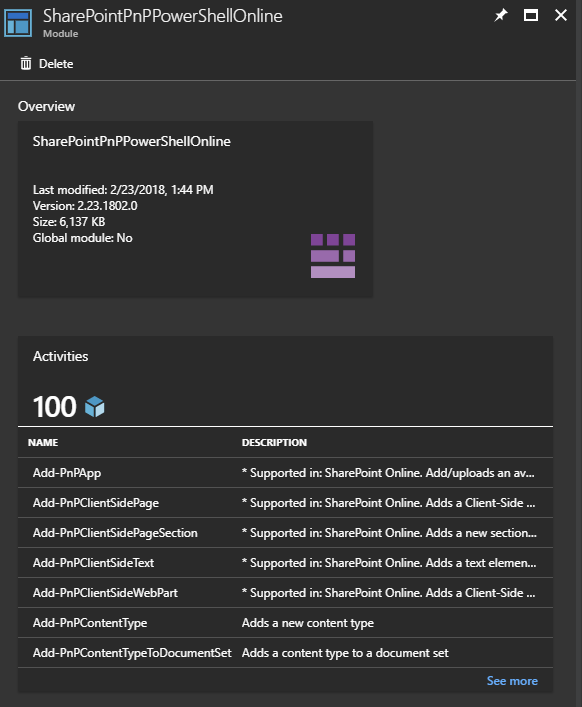 For one I was working on, I am using a SharePoint list to kick off a flow, and that flow reaches out to my Azure Runbook via a Webhook, which in turns runs some PowerShell using the SharePoint PnP Library to create some list entries, as well as a site or two, depending on the request. 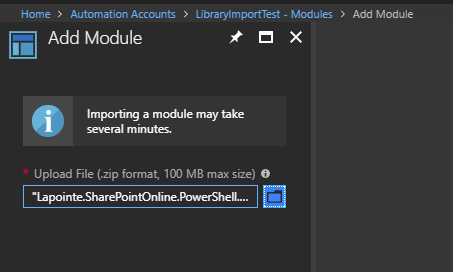 Since I have just been testing this functionality out, I’ve had my credentials under which the script runs and connects to SharePoint under a few variables. 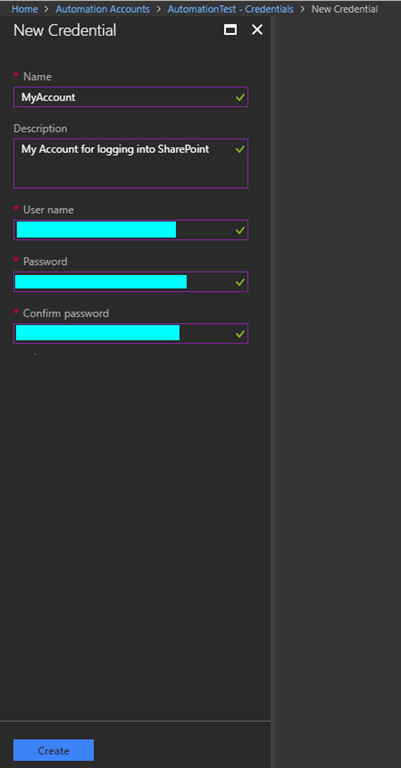 Now that I have my testing near completed, I no longer wanted to store my username and password for my service account in the script itself as variables. In fact, I want to be able to use multiple credential sets if needed, depending on the tasks that need to be completed. 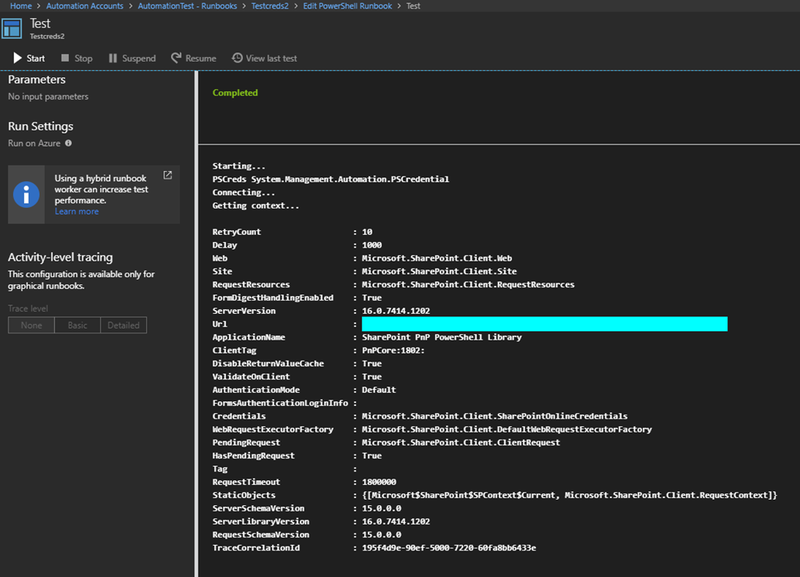 In comes Azure Automation Credentials. Enter in a Name, Description, and then the User name and Password for the credentials you wish to use. Now that we’ve created our credentials… we can use them! In this example, I am just using a test script to ensure it works…Let’s go over to our runbook. I am showing some output just to confirm that the script is indeed running, and it is getting PS Credentials, etc. And did we get context? Indeed we did! It works! 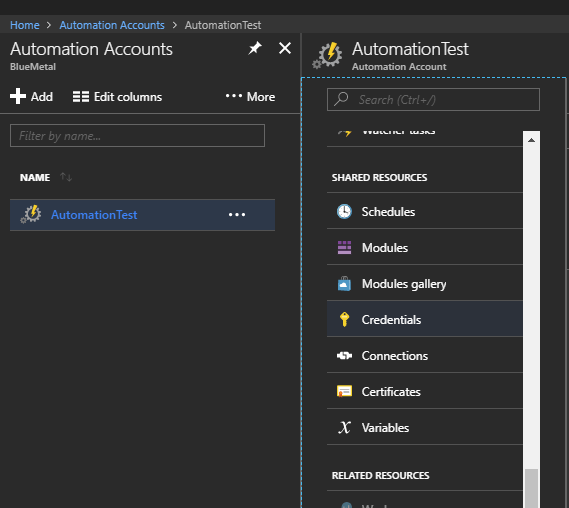 I surprise myself sometimes… so there you go, this is how you can use Azure Automation Accounts and Automation Credentials to store and retrieve username and password pairs and use them in your Automation Runbooks. 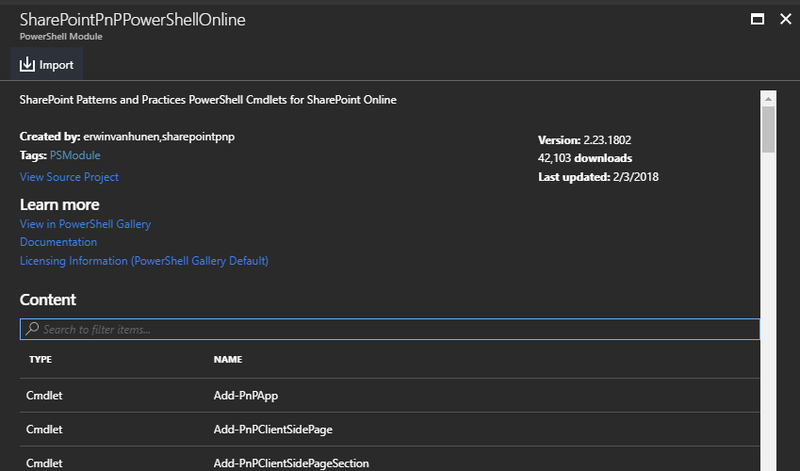 Before you can do anything with the SharePoint Patterns & Practices PowerShell library, you need to first connect to SharePoint Online. Sounds pretty basic, right? You need to establish who you are, and maintain your access during your session with the site you are working with. When you do this… you are prompted for credentials… Every. Single. Time. This is good for production, however, if you are developing a script, you may run this tens or hundreds of times… and, it gets old pretty fast. So, here is what I do. In my script, I set variables for the username and password (alternatively, you could pass these as parameters, and pass them along using a batch file). Then, I convert the password into a secure string, and create a PSCredential object with the username and secure password. 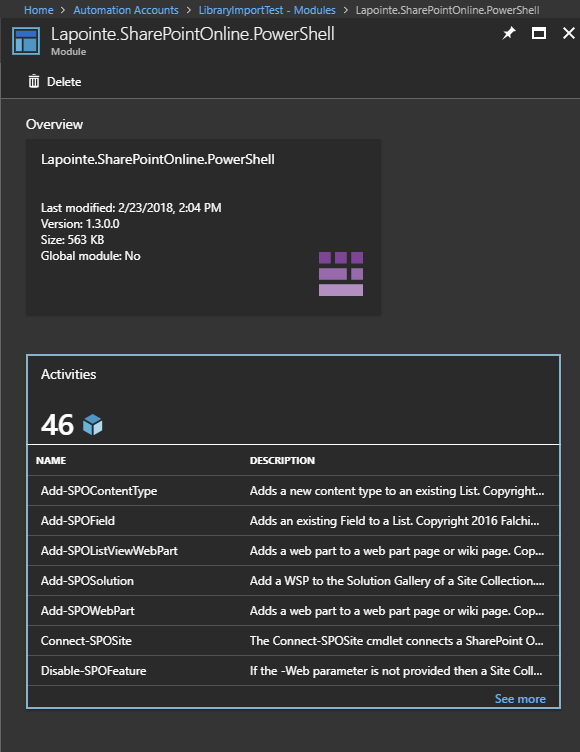 I can then connect to SharePoint Online using the Connect-PnPOnline command (as shown above), wrapped in a try/catch block, and not be prompted for credentials! Finally here! 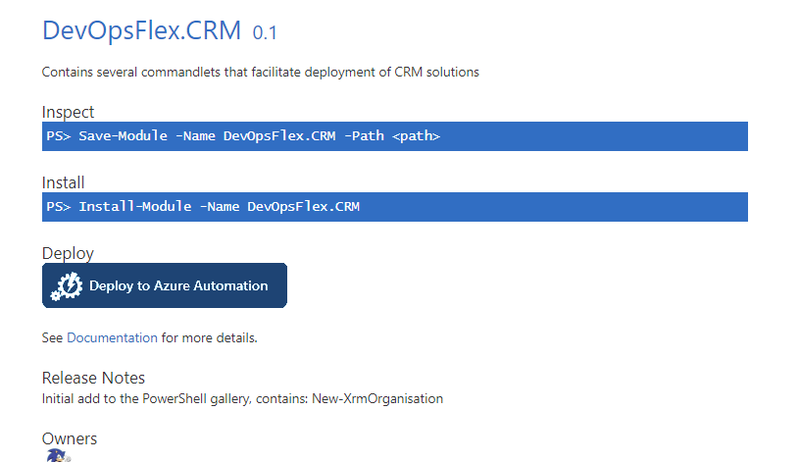 Microsoft has released a reference guide for the over 200 Patterns and Practices Cmdlets!